I’m a garage saler, a consignment and Goodwill shopper, an flea market lover and, on occasion — though I hate to admit it — a garbage picker. I like to own things with a bit of history, though not necessarily with someone else’s dirt. I thought I’d share some of my favorites. 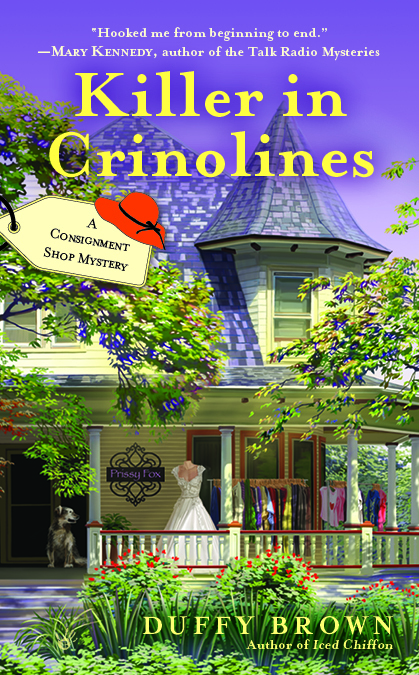 Killer in Crinolines is the second in Duffy Brown’s “Consignment Shop Mystery” series featuring Reagan Summerside and her Aunt Kiki. In the previous book, Reagan sort of accidentally fell into the consignment shop business, as well as a murder case. With characters like Chantilly Parker and Waynetta Waverly, Pillsbury and Putter — these books are worth reading for the names alone! Add in a little southern drawl and a lot of humor, and you’ve got the perfect summer read. 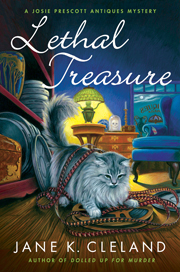 Lethal Treasure is another cozy mystery, this one written by Jane K. Cleland and featuring antiques dealer and sleuth, Josie Prescott. Along with the local interior designer, Josie has taken to bidding on the contents of abandoned storage units. But when the designer turns up dead in a unit whose contents he just purchased, it’s up to Josie to help the police find his killer. Of course, she manages to do so with great savoir-faire, though not without a few adventures along the way. 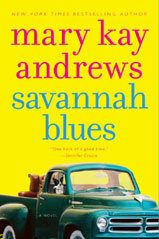 Mary Kay Andrews’s Savannah Blues is the story of Weezie Foley, an antiques picker whom I think has a lot more class than those boys on the TV. A picker, for those of you who don’t know, combs garage and estate sales, flea markets, and yes, possibly even garbage picks to find items to sell to antiques dealers who reside higher on the food chain. Weezie’s got a boatload of problems that only start with her the death of her ex-husband’s fiancée. With Andrews’s trademark southern flavor and humor, this is another great book for the summer. 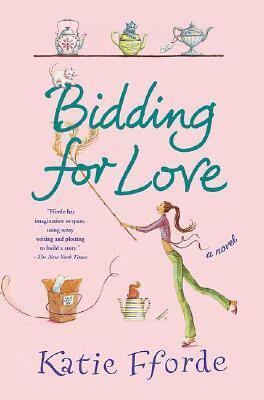 And I just wouldn’t feel right if I didn’t include Bidding for Love (UK title Flora’s Lot), the book that introduced me to one of my favorite authors, Katie Fforde. 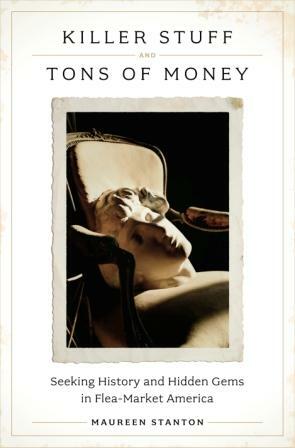 After reorganizing her life to join the family antique business, Flora is surprised and little miffed when her stiffly proper cousin Charles and his fiancée Annabel greet her efforts with a distinct lack of enthusiasm. Determined to prove herself, she sets out to find her place in the firm, eventually discovering that she may not only have found her place in the world but also a new love to go with it. Whether you’re a second-hand shopper or not, perhaps you’ll find a brand-new favorite in one of these books. This entry was posted in Rave, Reading and tagged Antique, antique dealers, Bidding for Love, book reviews, Duffy Brown, Flora's Lot, garage sales, Jane K. Cleland, Josie Prescott, Katie Fforde, Killer in Crinolines, Killer Stuff and Tons of Money, Lethal Treasure, Mary Kay Andrews, Maureen Stanton, pickers, Savannah Blues. Bookmark the permalink. 1 Response to I Feel So Used!